VERY Fine detail... ink signed on the bottom A BATTLE 1975. We accept VISA, MASTERCARD, DISCOVER, and AMERICAN EXPRESS payment via Paypal. Or you can pay with a money order or check, we ship the same day payment is received if paid with a money order. If you make payment with a check, shipping will be delayed. 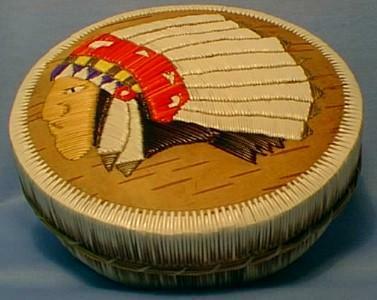 Items Similar To "Rare Ottawa Indian Birch Bark & Quill Covered Box -"